The Creative Studio Oil Pastels with their typical waxy feel form the ideal starter set for anyone interested in colouring in pastels. These individual pastels offer a wide range of options on various surfaces. They are quality oil-based pastel crayons and have a very high pigment quality, therefore, giving the best possible covering power and very bright colours. The smooth consistency makes them a pleasure to use. These are available only as individual crayons, at an excellent price/performance ratio, and are only available while stocks last. 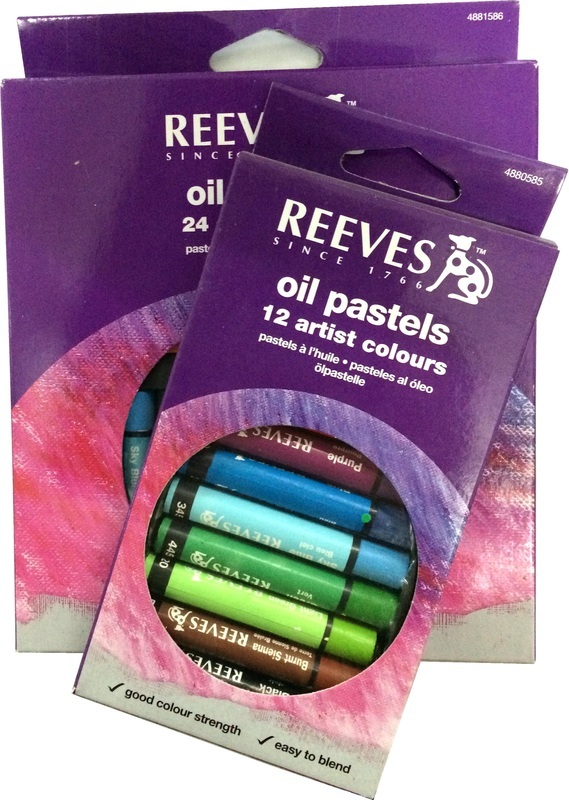 Reeves Oil Pastels are made from quality pigments, waxes and oils. These vibrant colours have good fastness and are formulated for smooth drawing and a wide range of effects. They blend easily, mix well, and are suitable for surfaces such as paper, board, canvas and wood. Reeves was established in 1766 and as such has a long and successful heritage. From the development of William Reeves' famous moist watercolour 'cake', Reeves continues to lead innovation within fine art, hobby and craft, educational colouring and accessories. Feel free to browse through Reeves' basic introduction to oil pastels or to download the oil pastels guide. 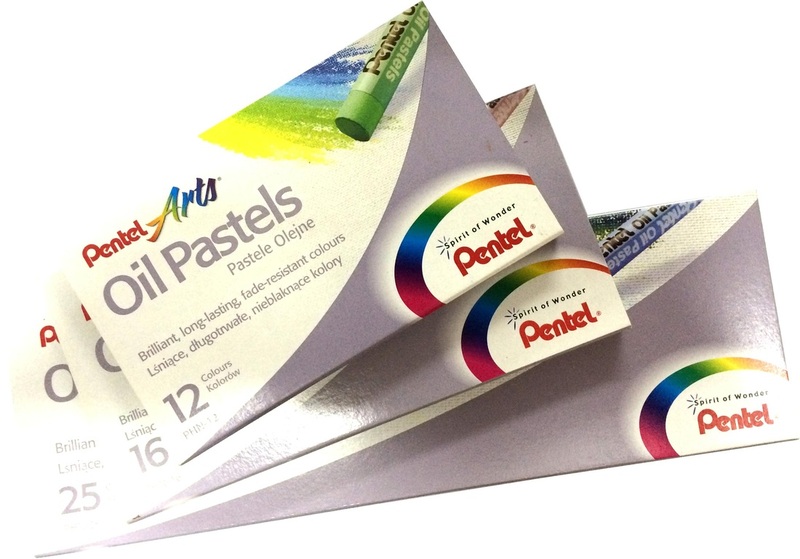 Pentel Oil Pastels apply smoothly and blend easily for subtle shades, tints and mixtures. Suitable for use on paper, board or canvas. Available in sets of 12, 16, 25 & 50. This affordable pastel set id made from the finest materials and composed of an assortment of brilliant colours. All oil pastel techniques, such as scrapping, gradation and blending, can be easily applied. They yield a smooth touch and are fade-resistant. Available in sets of 25. 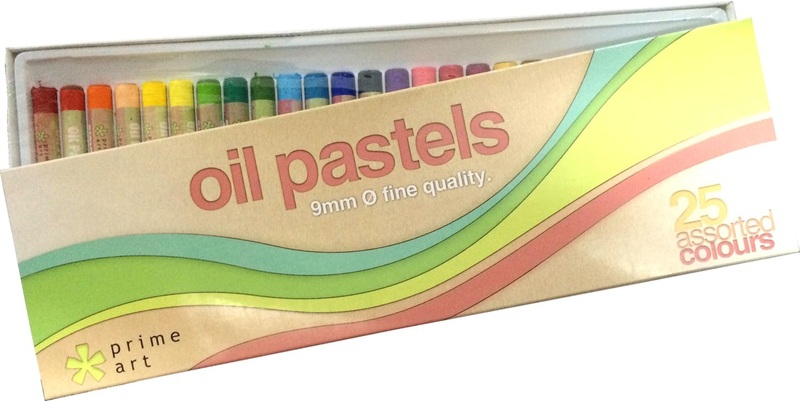 Mungyo Mini-Artist Oil Pastel sets are general grade and perfect for school use with vivid and brilliant colours, smooth touch and easy application. All oil pastel techniques, such as gradation, scraping and blending, can be applied easily. They are made from the finest materials, are fade-resistant and have been certified non-toxic. Available in sets of 12 and 25.